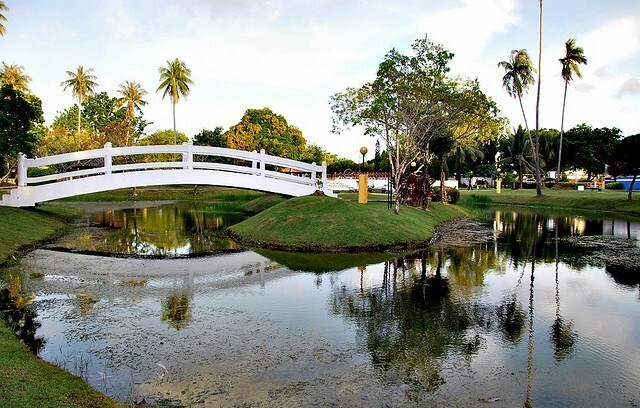 This tranquil bird park is beautifully landscaped garden and walking paths. It has three large dome-shaped cages surrounded by beautiful trees and flowering plants. A slow, relaxing walk within the bird park is recommended if you wish to escape to a more peaceful experience where you can absorb the beauty of the flora and marvel at a large variety of tropical birds from around the region, under one roof. Labuan Bird Park is home to many species of Borneo birds only likely to be encountered deep in the forests of Borneo. There are plans to collect a good percentage of the 580 species of birds found in Borneos diverse habitats. Unlike bird watching in the wild, here at the bird park, nature lovers can watch birds without the arduous treks in the jungle or towing heavy equipment. Peace Park at Layang-Layangan is situated close to Surrender Point, the place where the 32nd Japanese Southern Army surrendered to the 9th Australian Imperial Forces on 9 September 1945. The Japanese arrived at Labuan on January 1, 1942, less than a month after they had started their campaign in Malaya at Kota Bharu. They took formal possession of the island on the 3rd, having faced no resistance. The Peace Park was built as a memorial and also as a renunciation of the horrors of war. It is dominated by the memorial mound which is surrounded by landscaped gardens and pavilions. Small ponds with stone bridges and park seats are all Japanese-inspired. A bronze plaque commemorating the surrender is mounted on a stone slab near the entrance. The Tunnel was once a site busy with coal mining activities for more than half a century from 1849 through 1911. This expansive network of underground tunnels is one of many important historical landmarks in Labuan. Operated by various British companies for 64 years, it was during the administration of the New Central Borneo, that an 8-mile long railway track was installed from here to Victoria Port to facilitate the export of coal, resulting in a flourishing coal mining operation here. However, an unfortunate string of mining accidents led to the closure of the mine in 1911. Today, what still remains in the area are pits and tunnels dug long ago, old bricks and pieces of rail tracks and rusted cables strewn on the ground. Visitors may enter a low tunnel with the help of a short rope and emerge from the top, although this should only be attempted with great caution. Across the road next to the Chimney, is a vertical well that is 10 feet wide, measuring some 100 feet deep. Entrances to more tunnels, which are yet to be explored, can be found at the bottom of this well. 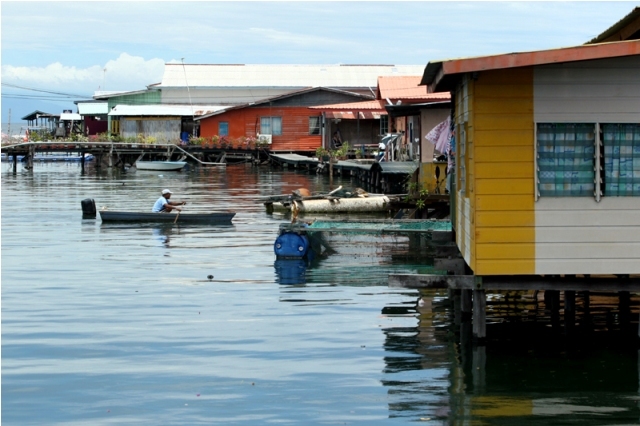 A trip to Labuan would not be complete if one does not visit Kampung Air (Water Village). 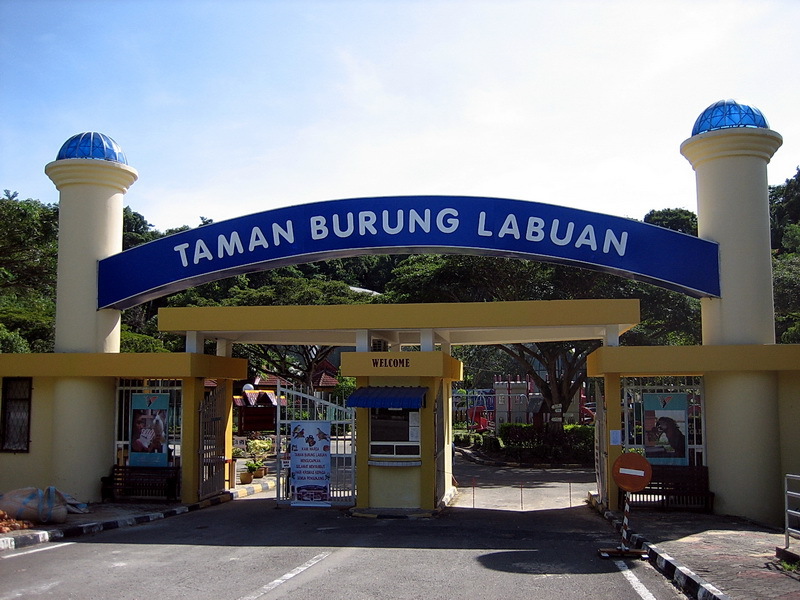 There are two main water villages on Labuan - Kampung Bebuloh and Kampung Patau-Patau which are mainly inhabited by Brunei Malays. The houses here, which are built right at the water's edge, are made of wood and sit on high stilts, joined together with a maze of wooden walkways. Visitors are free to roam around the vicinity of the water villages and observe the humble lifestyle of a predominantly fishing community. Almost every house owner here has his own boat. The houses can be quite large and they all have cool decorated verandahs.